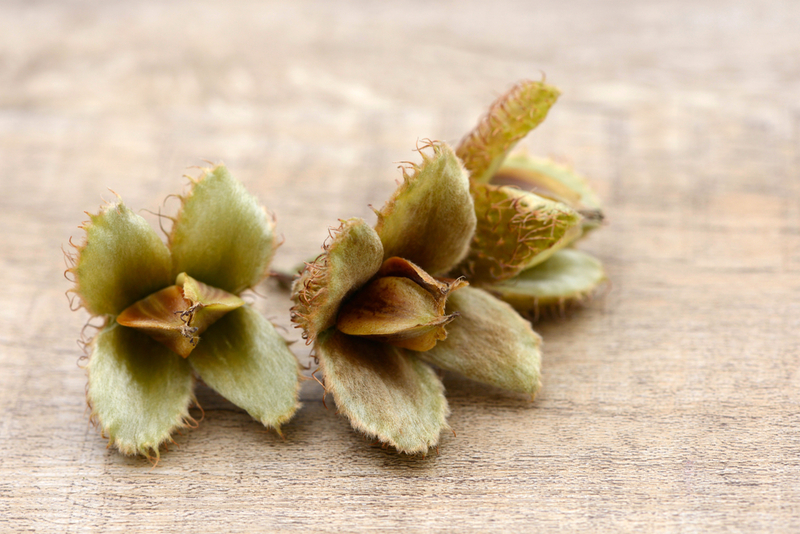 Many people love beechnuts and many people love geometry. But did you know you can experience them together? The beechnut and geometry. I have noticed that the shapes inside the beechnut resemble very closely the beginning constructions of geometry patterns. I love collecting seeds from trees. They always display such great shapes and numbers. I’m always looking for the patterns in them. Conkers and Acorns are beautiful circles of nature and one of my favourites is the five pointed star of the eucalyptus seed pod. The Beechnut and its geometry was pure surprise and wonder to me when I spotted it. I hope you enjoy it just as much. 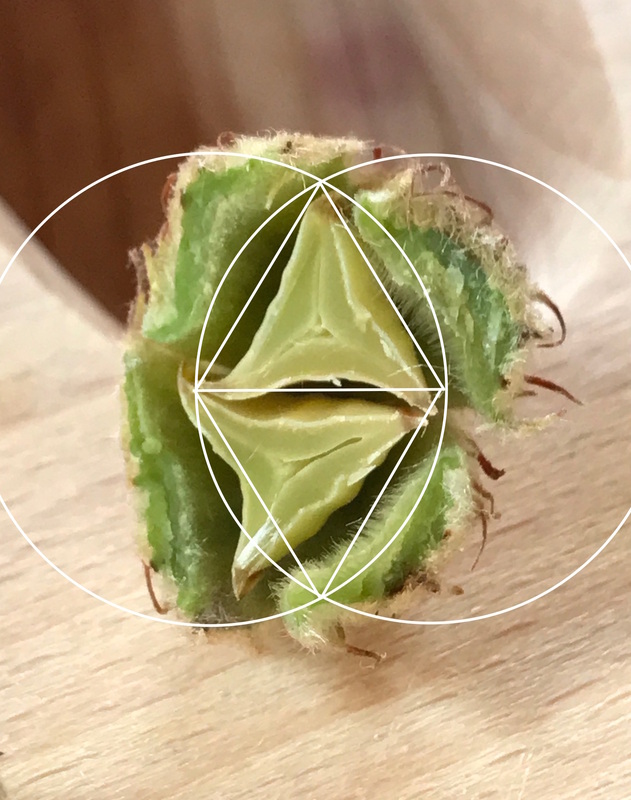 Each beechnut seed case splits open by four slits down the sides, the outer case spreads open into four petals. 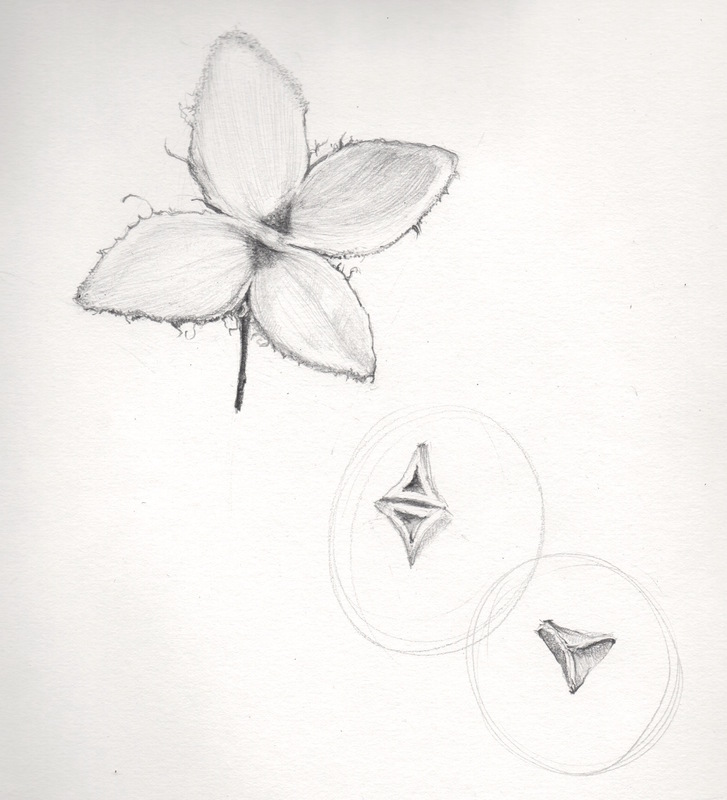 In the centre sit two triangular seeds. Each of these is a tall tetrahedral shape. 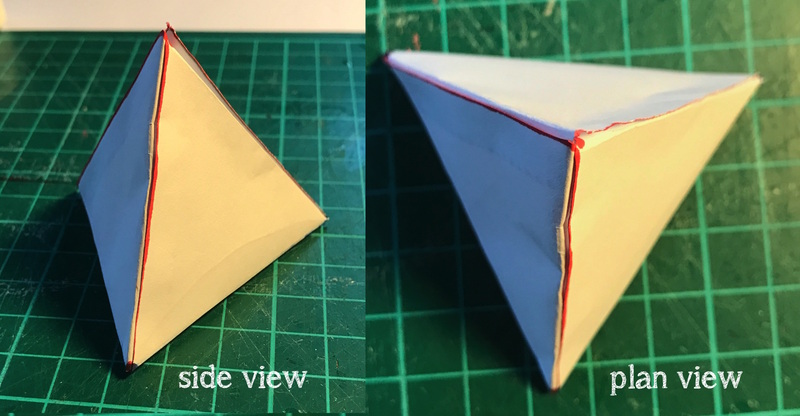 The base (where it is fixed to the case) is a triangle shape and it has three more tall triangular sides giving it a structure that resembles a tall tetrahedron. There are two of these in each case. The four-sided case gives way to two triangles which sit side by side. 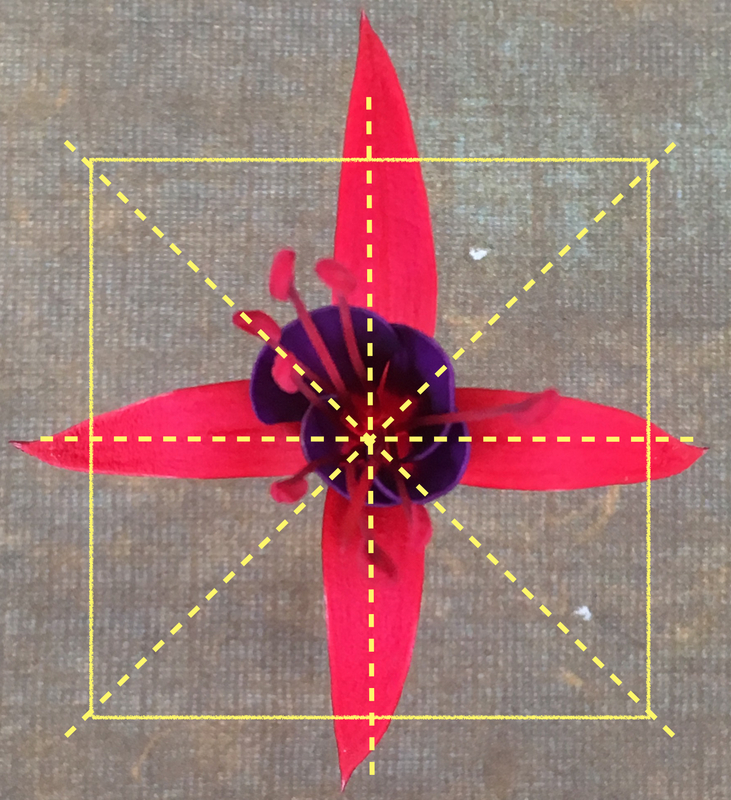 The beechnut (and geometry) display the properties of FOUR in two dimensions (i.e. the square) and in three dimensions (the tetrahedron). There is balance and symmetry in Four. Thats what the square and the number four represent. This is evident in the symmetry of the beechnut too. Remember our Natural Fours from the Smart Happy Autumn Magazine? The early constructions in the practice of geometry resemble the structure inside the beechnut, I love this! 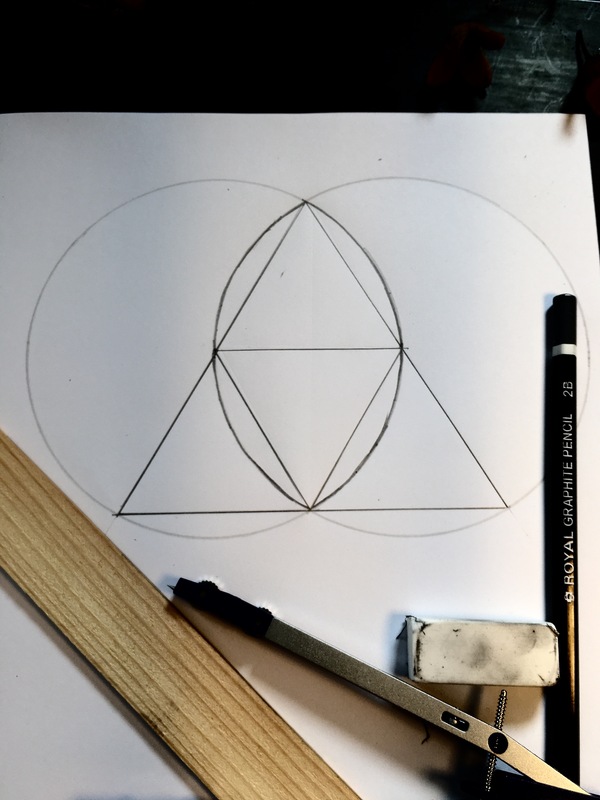 Follow these steps below to draw the simple geometric shape. Using a compass, draw a circle with any radius. Move the point of the compass (keeping the same radius) to any position on the circle just drawn. This will be the centre of the second circle. Complete the second circle. You now have two circles, each circle passes through the centre of the other. The space where the two circles overlap is commonly referred to as the ‘Vesica Piscis’ or almond shape. This shape holds much symbolism in art, maths and philosophy and has been reproduced in many forms through history, representing unity within duality. It is an important theme in sacred geometry. It is within this space that we will continue our geometric construction. Using any straight edge, draw a line that joins the two centres of each circle. 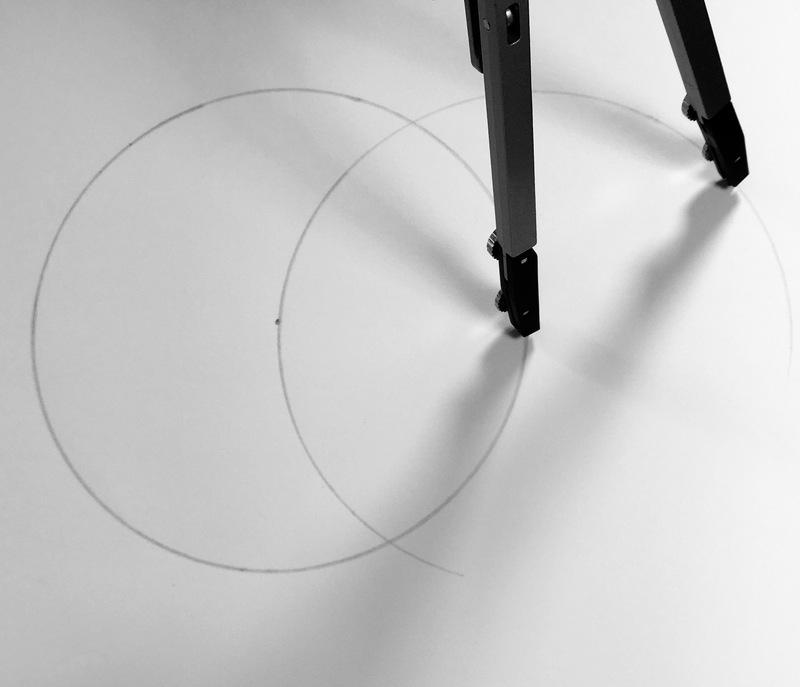 From each end of that line, draw another line using the straight edge that connects to the point where the circles intersect at the centre top. And another two lines that connect the ends of the first line to the point the circles intersect at the bottom. Using a darker pencil and a steady hand draw over the arcs that make the almond shape to highlight them. 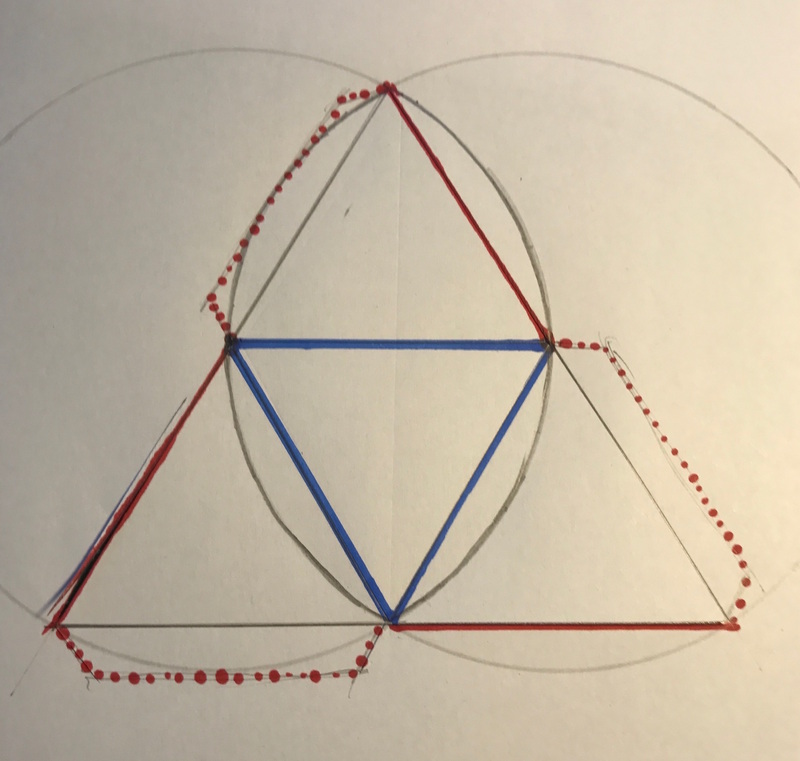 You have created two equilateral triangles within the Vesica Piscis without using a ruler or protractor. Do you recognise this shape? Ok, so it’s not absolutely perfect, but there is a definite similarity there. 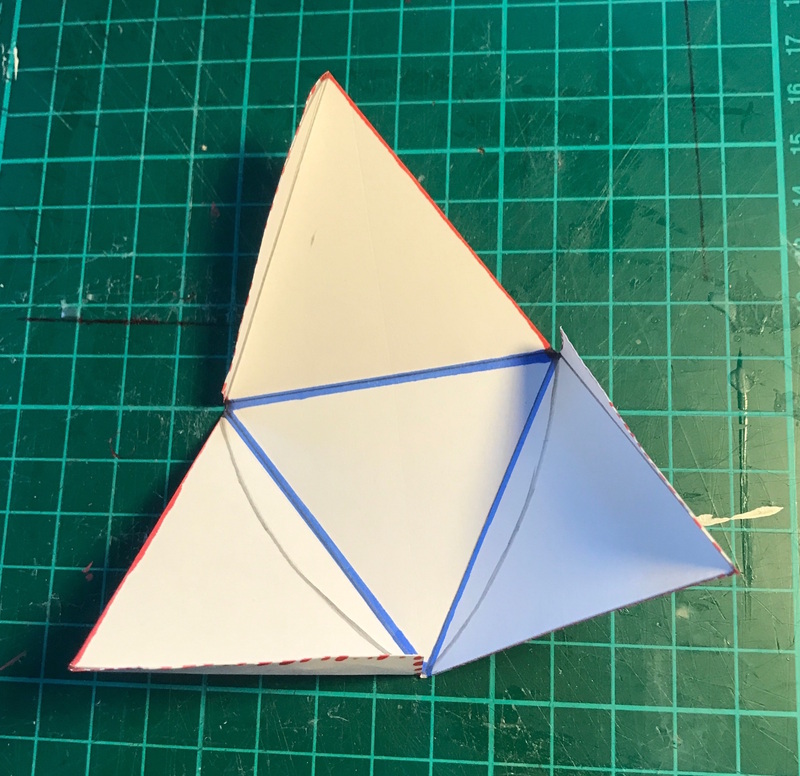 And, if you keep going with your geometric construction you can create a 3D tetrahedral shape, similar to those inside we can see inside the beechnut case. 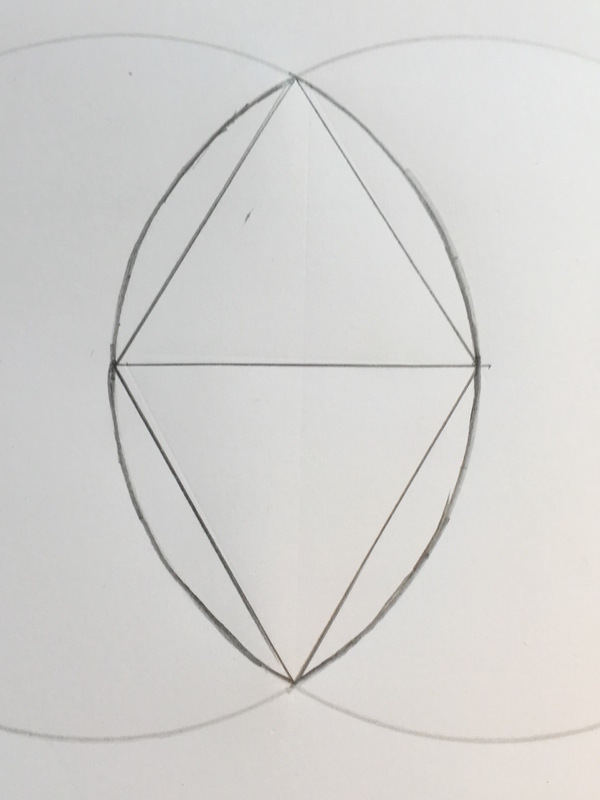 Go back to your drawing and extend the straight line that comes down from the top intersection through the centre point of the right hand circle. Extend it down until it crosses the circle at the bottom. Do the same with the line that creates the left hand side of the top triangle. 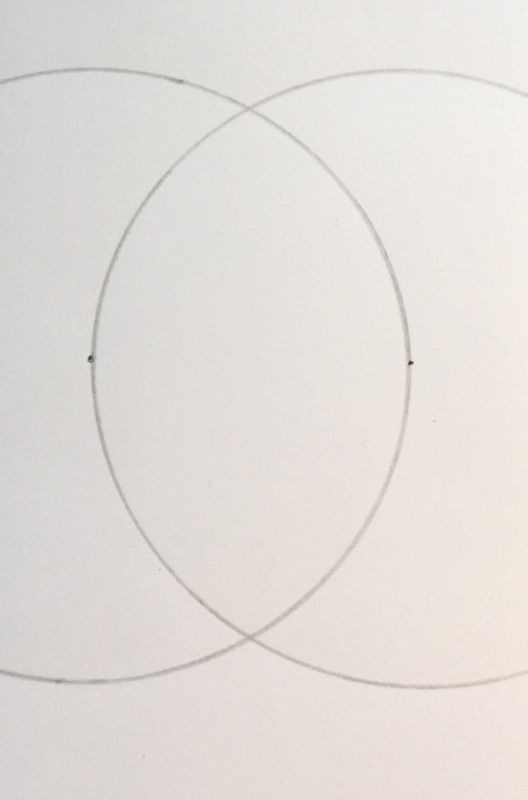 Extend it down until it crosses the circle at the base of the drawing. 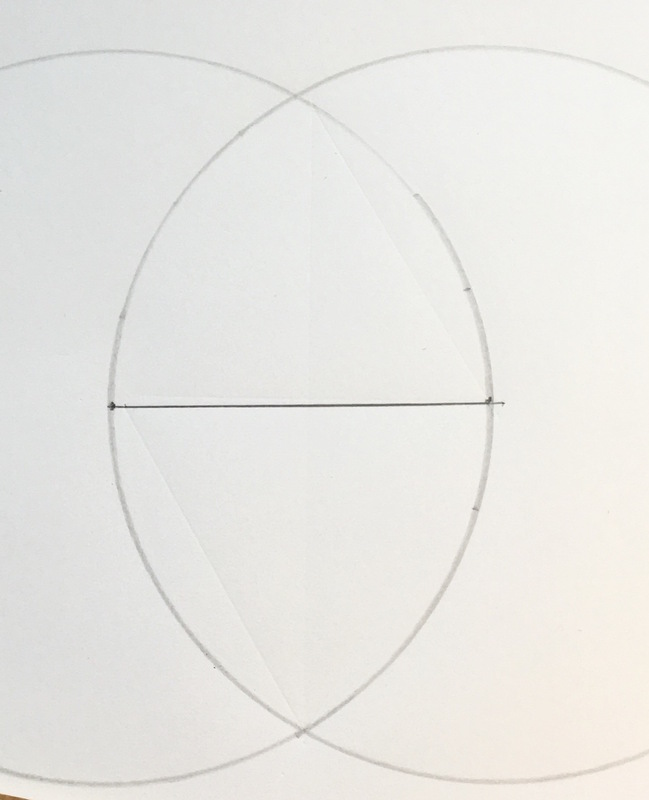 Now, draw a straight line that joins up the points where these new lines cross the circles at the bottom of the drawing. This new base line will pass through the bottom intersection of the circles and the bottom point of the inverted triangle. In total you have now drawn four equally sized equilateral triangles and one large triangle that holds the four smaller ones. All with only a compass and straightedge. Well done. These four small triangles become the four sides of a tetrahedron. As in the picture here, cut the paper along the red lines. Sketch out tabs for attaching together and cut around these too , these are the red dotted lines. Use a glue-stick on the tabs and fold them inside the structure. This is your Tetrahedron. It is a pyramid with a triangle base. (other pyramids have square bases but they are not called tetrahedrons). A tetrahedron is the first shape that can be created in three dimensional space with the least amount of edges, points and sides. 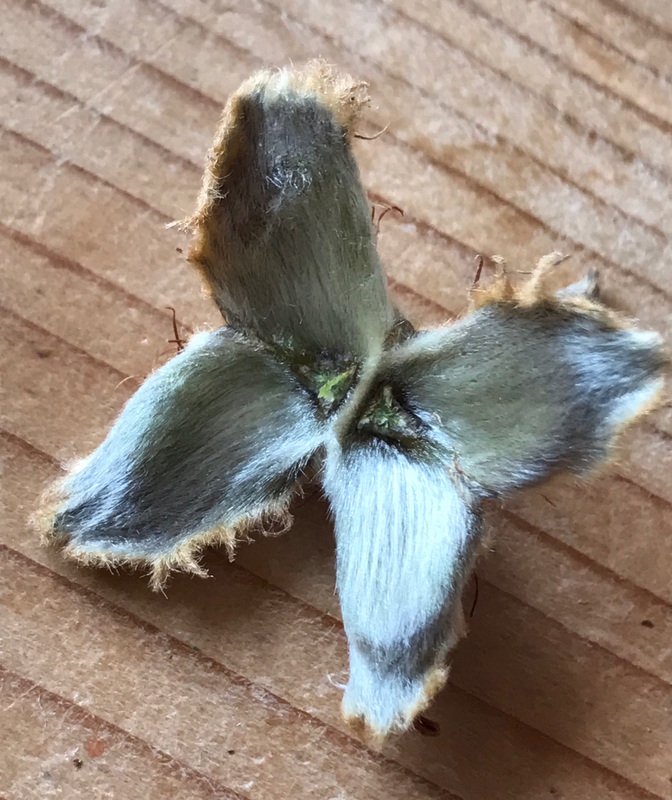 If you go back to the seeds that you found inside the beechnut case, you may notice it as similar structure to the tetrahedron. It is a bit taller and maybe a bit squished and probably not perfect – it is natural after all. But I think you may notice the same properties of the structure. I think it is interesting that in our observation and exploration of the beechnut and geometry we have arrived at creating one of the Platonic solids and not once did we measure an angle or use any calculations, we just enjoyed studying nature. I hope you enjoy that too.